Kim Echammaal Coull is a certified Soul Musicality Practitioner, Sound Healer, Tarot Reader, Astrology Practitioner and Psycho-spiritual Teacher. Her Soul Musicality Sound Healing Sessions are channelled sound scapes (vocal, dream harp, crystal singing bowls, gongs, drums, chimes, and bells) that embrace, awaken, and facilitate the healing of your body, mind, and soul, and connect you more deeply to your Divine Self. Deeply relaxing, supportive, and nourishing, her sound healings align your chakras and serve, with love, your own focused intentions and needs. With Angelic Guidance, Kim evokes your own Heart Song – a healing gift to soothe the soul and awaken your consciousness to the Eternity of your True Being. Kim has been teaching and reading Tarot and Astrology in Perth for over 20 years. 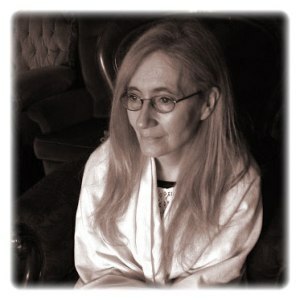 She is a Psycho-Spiritual Therapist, artist, writer, and published poet. She runs The School of the Sacred Arts in Perth and regularly holds courses and various workshops on Tarot and Astrology as well as one on one (and group) Heart Song Sound Healing sessions. Her Astrology and Tarot Readings are intuitive, empathic, therapeutic, and Spirit Guided, based on depth-psychology, narrative therapy, and client centred holistic counselling. Kim’s own journey– over 40 years – has taken her deep into the heart of many teachings, including Depth Psychology, Buddhism, Sikhism, Sufism, Christ Consciousness, Energy Healing, Tarot, and Astrology. Her practice has evolved from personal experience of these sacred paths into a reverence and embrace of the Beloved Within, and has lead her to find the Divine Melody of her own Heart Song, based on unconditional love, acceptance, and knowledge of one’s True Nature. Ong Namo Guru Dev Namo. We are so grateful to have Kim Echammaal Coull as part of our team here at The Sound Temple.